Beautiful New Extended-Stay Hotel where your home is My Place! 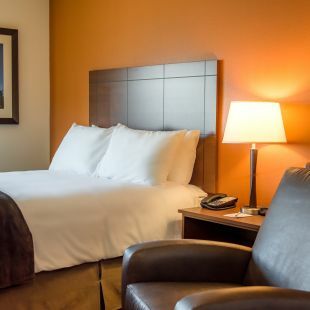 We offer nightly, weekly, and monthly rates - business travelers, leisure travelers, families and pets are all welcome to make your next stay feel like home. Explore the country and find our locations along the way. 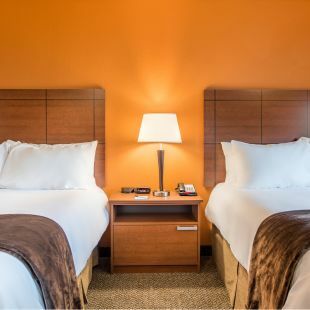 Cozy in to our two Queen My Place Plush beds with microfiber sheets and duvets. Free internet access. Our rooms feature My Kitchen: which includes a full fridge, coffee maker, microwave, and 2 burner cook top. A table with 2 chairs is provided for dining. Make My Place, Your Place.